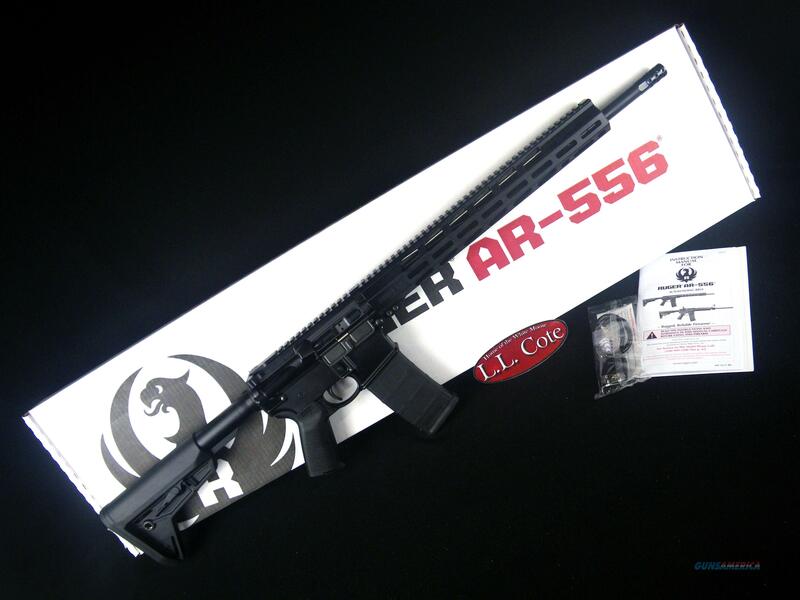 Description: You are bidding on a Ruger AR-556 MPR in 5.56 Nato with an 18" barrel. Made from aerospace-grade 7075-T6 aluminum forging, the flattop upper receiver includes a forward assist, dust cover and brass deflector, and is Type III hard coat anodized for maximum durability. The Ruger® Elite 452™ AR-Trigger is a two-stage trigger that offers a smooth, crisp, 4.5 pound trigger pull. The 1:8" twist rate stabilizes bullets from 35 to 77 grains, and the 5.56 NATO chamber allows the use of both 5.56 NATO and .223 Rem. Ammunition. M4 feed ramps provide improved operational reliability, and the matte black nitrided finish provides corrosion resistance. Ruger® muzzle brake is a radial port design that significantly reduces felt recoil and muzzle movement. The 1/2"-28 threaded barrel allows for standard muzzle accessories to be installed. Also includes: One, 30-round Magpul® PMAG®. Displayed images are stock photos. Any questions please feel free to ask (our phone number is in the additional information tab above).